Original artwork inspired by the amazing Rebel alliance women of the Star Wars stories. 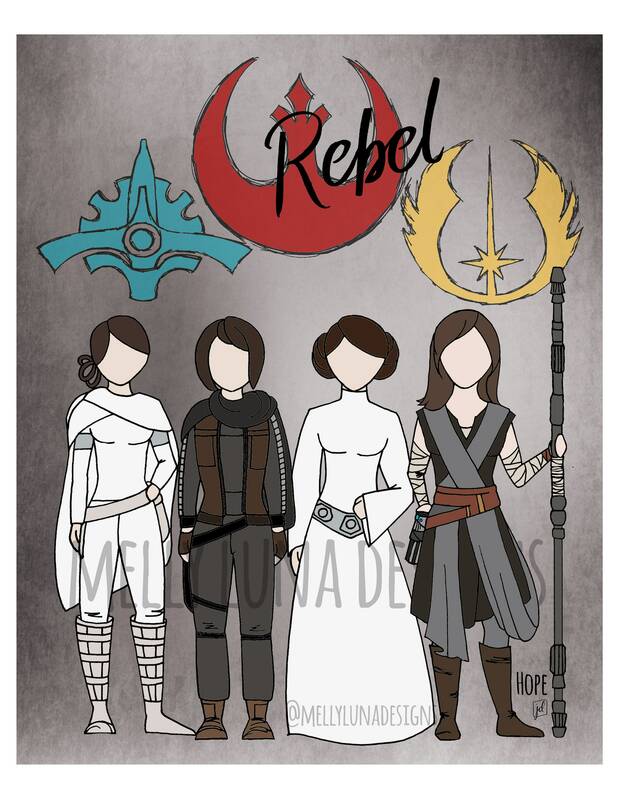 If you are empowered by Leia, Amidala, Jyn, and now Rey this print is for you. This is an expanded version of the original Rebel print.